The next day I was looking for the ice cream we had bought and my mom told me the strangest thing. She said that I had eaten all the ice cream the night before. And I would remember when the Hubs told me about a few of my incidents. Like the time when I came downstairs late at night in a dress, stood in front of the tv, looked at him, didn’t utter a word, turned around and then went back upstairs. Oh how I hated these moments, they were dreadful to me. I felt cursed and broken quite honestly. by the grace of God and I truly mean those words, I slept eight glorious hours free from the hypnotic effects of Ambien. 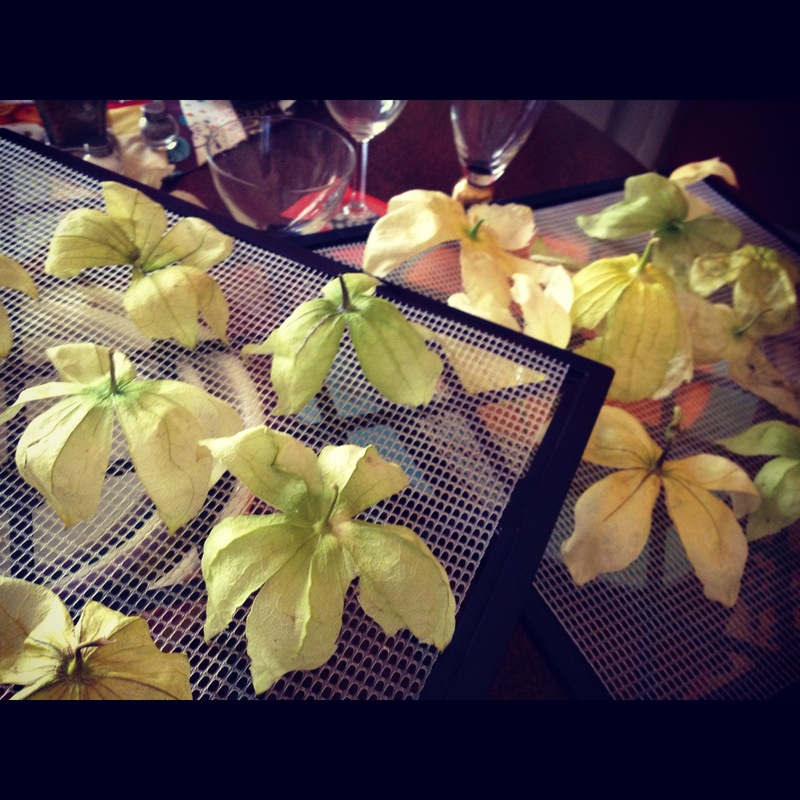 These are tomatillo husks I am dehydrating. In a way they represent freedom and beauty to me. few are brave enough to tell the truth in public…thank you for doing so. i was sorry to read of your dependence on Ambien, but totally understand as i too had years of difficulty sleeping. the shame associated with any dependency is so damaging, and doesn’t belong to you. life’s hard and nobody gets outta here alive. i’m grateful to be able to read your posts and get to know you truly. Oh thank you so very much! It’s scary admitting this because I realize I am only two weeks into this but I wanted to be honest and encourage others who might not think it’s possible. You are always a great source of encouragement to me, bless you! In telling the truth, we bring our issues into the Light, which attracts others who would also be healed. That’s the fancy way of saying: you’re a real woman, this is the good path, and I dig you! Cindy, I remember you telling me your ambien stories. I know how much it meant for you to get some sleep, but how you hated all the other “stuff.” I recently stopped taking an antidepressant (not many people even knew I was taking it), and my mind has been so much clearer. But it is hard to stop, and even harder to talk about. I am so proud of you for being brave and sharing this story. I am sure many with similar experiences will be blessed by your transparency. Love you much! Oh, Cindy! God bless you for having the courage to write this post. I can only imagine what the last two weeks have been like for you, and I know from experience that revealing posts aren’t easy. Bravo, my funky-haired friend! Thank you Meredith! My heart was beating fast as I clicked the publish button but I really wanted to share with others. This is a very spiritual process for me and I couldn’t do it without the Lord. I can’t wait to write more about this journey. Sleep well and I look forward to hearing more from you! Love you mama and proud of your passion and drive toward growing stronger! It is a wonderful thing to hear and see beautiful stories of renewal in our family. They come in many forms but they are truly an encouragement and a spur to redemption. My blessed child, how I love you! Please write on my blog all the time when you are in Chicago. Thank you for loving me even when I’m unloveable. I don’t even know what to do with your comment but sit here and be blessed. I am humbled, deeply humbled by your words. You pour yourself out to others and bulldog moms stick together. I so appreciate your kind words. I’m honored to call you my friend. I could have written that. Except that I was only hooked for 3 years. My short term memory was shot, and i was in a fog about half the day, every day…I ran out about a year ago, and went three days without a refill. I didn’t sleep for three days, and wound up almost psychotic. Very scary. Then I ran out again this past Easter, but somehow slept a few hours, at least enough to function, and same the next two nights. It was then I realized I had a golden opportunity, and I seized it. Quit cold turkey, and will never go back. They tried to give me my Rx the next time I was at the pharmacy, and I told them to keep it…it isn’t allowed in my house ever again! And funny thing is, I sleep much better without it…Good for you getting it out of your life! Wow, that is quite a story! It is scary and I applaud you for seizing your golden opportunity! I feel a little vulnerable because I’m doing something I haven’t done this way in a long time but by the grace of God, I’m doing well. Sleep well, sweet dreams and I mean that! Cindy, what an awesome story you told of such a personal subject. I am sure you have figured from the time of my posts, I am up ALL night. I have always been a very light sleeper and have struggled getting to sleep. Over the past 3 or 4 years my sleeping issues have gotten worse and worse. It used to be I would never get to bed before midnight, then that turned to 2am then 4am now it is 5am!!! Yikes, school is right around the corner! I was put on Ambien about 11 years ago after an injury at work really interfered with my sleep. 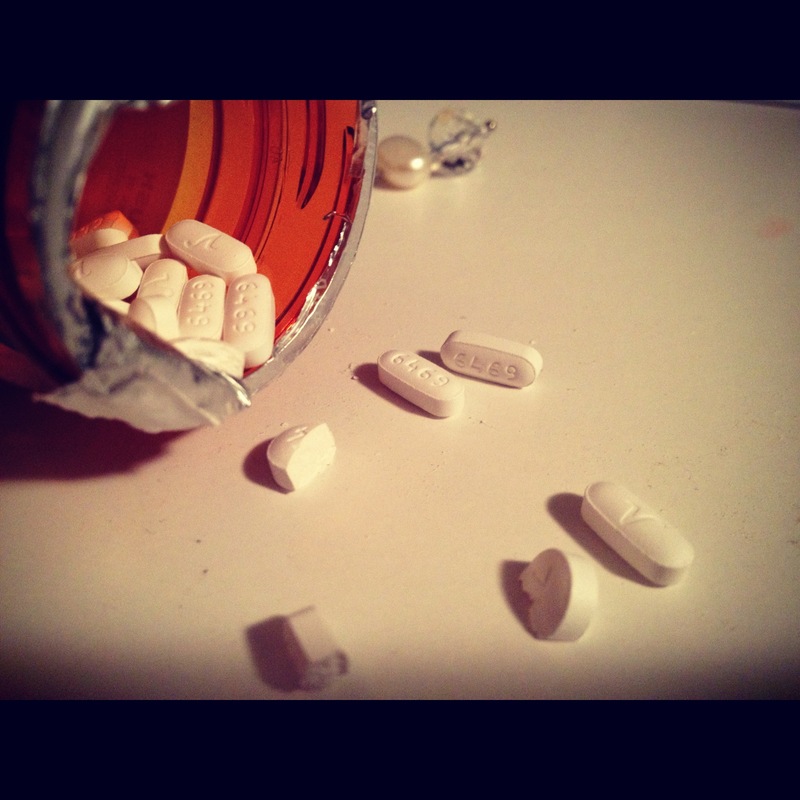 I was also given every pain killer you could imagine, Vicodin, Percocet, all I could ever want. Good thing my mother warned me about drugs, especially prescription. I would go to the Employee Health Dr. every week and every week he would ask how I felt and I would always say, I was in pain. 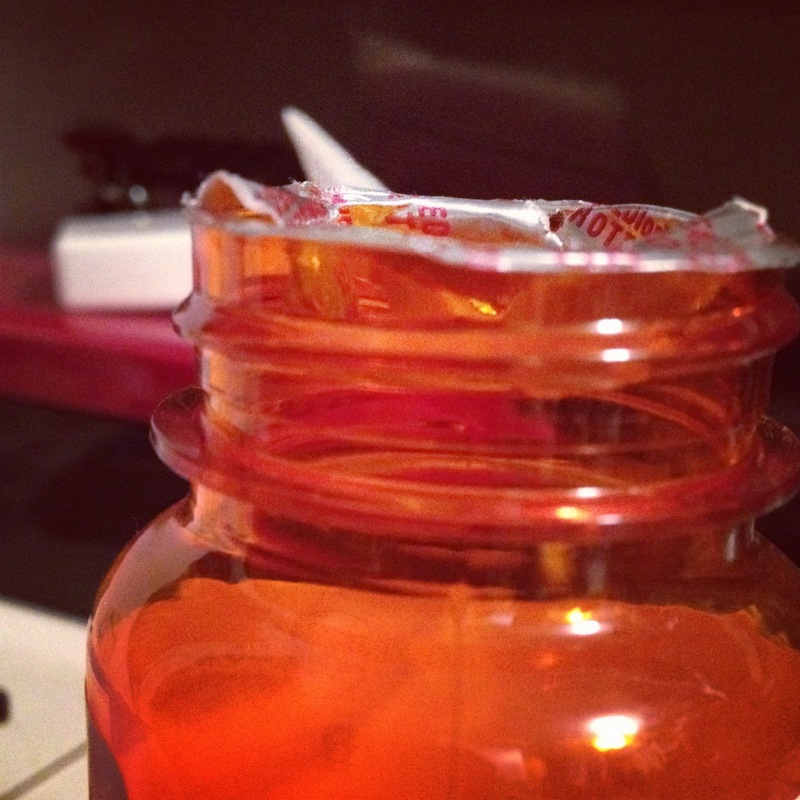 He would ask how the medicine was working and I would tell him, I didn’t know because I didn’t take them. He finally asked why and I said I didn’t want to become dependent on them. His answer was “You don’t have an addictive personality!”. How would he know? I don’t even know and I don’t want to find out! Needless to say, I did eventually take 1 at night, before I went to bed. I reasoned with my self that I could get through the pain during the day while I was awake but getting through it trying to sleep, was not happening. 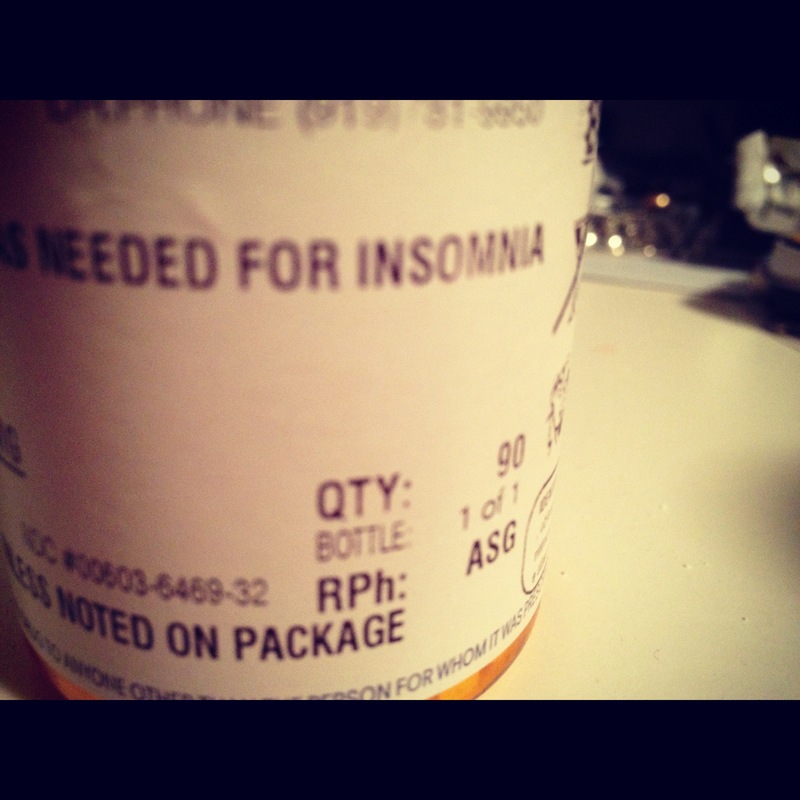 If I took it at night and it helped me sleep, then I would not know or feel the affects and hopefully get some rest. IT did get me through the toughest part but I still needed sleep. That was when I was given Ambien. I have been given different dosages and every one allowed me to sleep somewhat solidly for about 3 hours, then I was WIDE awake! I didn’t even finish a full prescription of either dosage. I can fall asleep after some time trying and get about 2-3 hours of solid sleep on my own, why take something I can do on my own? I had my physical a couple months ago and my Dr. admitted, she thought I was VeRy odd! She could not understand how I get by on practically NO sleep and I weighed the same exact weight I did when I found out I was pregnant with Mackenzie!!! I have to say, I was shocked and asked to be weighed three different times while I was there!!! She recommended a sleep specialist but I have a good friend who does that and she said unless I have a medical condition causing it, there was really nothing that could be done. I know I don’t have sleep apnea, I am not diabetic or anything else medically wrong that would cause this. It is VERY frustrating and I don’t know how I do it. I am panicking about school starting back. Interrupted sleep is what kills me. If I don’t get to bed before 5am, the alarm goes off for Clay at 5:30am and the second alarm goes off at 6:30am for me to get up with the girls for school. Once I am up, I cannot fall back into a true sleep. I was blessed with sleeping babies but Camryn is starting preschool this Fall, so once the older girls are off to school, I will have to be getting Camryn up and ready for school. In the past few years I was able to lay back down until Camryn woke up. Not going to happen this year! Worrying about that, I will NEVER sleep! Thank you so much for your story. What an inspiration to many who read it! So proud to call you my friend! I know you have had serious struggles with insomnia. I don’t think I would be functioning on any level. I am praying for you Ronna. It’s so crazy because you would think that falling sleep is so easy. I found myself jealous of those people (the Hubs) who can fall asleep effortlessly. As I read what’s going on, I see some things you might be able to change. Please feel free to call me and I would love to get together with you. It is possible to have victory and to have sleep. Your babies need to see their mom being able to sleep and I say that with love in my heart. There are some things you can do, this is not a hopeless situation. Bless you, friend and thank you for being so honest, I know that took courage. Thank you for posting. Very encouraging as I feel the Lord may be nudging me that it’s time to leave my “comfort” behind–overeating…Your post says to me that it’s possible, with God all things are possible, and He does care for us, each one. It is possible. Not of your own strength but by the power of Christ. I know you understand. I’m making progress and it wasn’t something I planned on doing but something that had long been a blight on my heart. I will be praying for you and thank you for sharing and encouraging me today. I rejoice with you and your victory! With your testimony, you’ll help and encourage others. That’s a great feeling! Knowing your love for the Lord, you will keep your new path clean, and free from Ambien. HE is your/our strength! I have very strong prescriptions for back/scoliosis pain and your post helps me see again where I should not go. I had a car accident when I was 21, my mom died in it and throughout the years I had 4 back surgeries. For the past 4 years, the pain is unbearable at times and I’ve seen recently one of the best doctors in CA and he said that only surgical repair is my solution. At this point we don’t have medical insurance and that dismissed the surgery option right away. To tell the truth, I am afraid of going thru it all together. A day after my last surgery I had a cardiac arrest, the defibrillator was used on me three times and God gave me days. The doctor, of course he prescribed me pain meds then. I took them for few days because I got so depressed of the news and I wanted to just check out from the world. I slept for 3-4 days and when I realized that I could not remember talking to my West Point son which was struggling in his plebe year,and how much I was waiting for him to call, and I did not remember what day it was, or when I went to the bathroom last….and how my husband MADE me eat, and I didn’t remember it, made me cry so hard. I have stop taking them. do what I had planned a day before. I can’t even do my knitting or sewing. All I can do is reed. And I need to be so careful what i read! Seeing the great achievements and the busyness of my friends can bring me down. THAT’S when I’m praying and imploring the strength from the Lord. He gives me strength. He gave me courage confess this struggles to my husband and few of my close friends that I can call and cry it out. You will be in my daily prayers dear friend! I am happy to know you. Manuella, you are so lovely and positive…I am terribly sorry to read of your terrible experiences and trauma. Your talents shine thru all, despite what you think about other people doing so much and their busyness. We don’t know what is truly going on with others unless they open their hearts and tell us the truth about their life. Thank you for sharing your struggles with us. We want to know more so that we, as the Body of Christ, can support you. I’ve been dealing with sleep problems and have stopped taking Seroquel because I want to be “drug-free”…its not easy. If I don’t exercise everyday, I have troubles relaxing with my over-active mind. I’ve also taken Seroquel and I usually slept really great but wow, waking up was a challenge. I like your idea of exercising. I think the Lord is speaking to me about incorporating this into my plan. Thanks for sharing. I hope you are doing well!